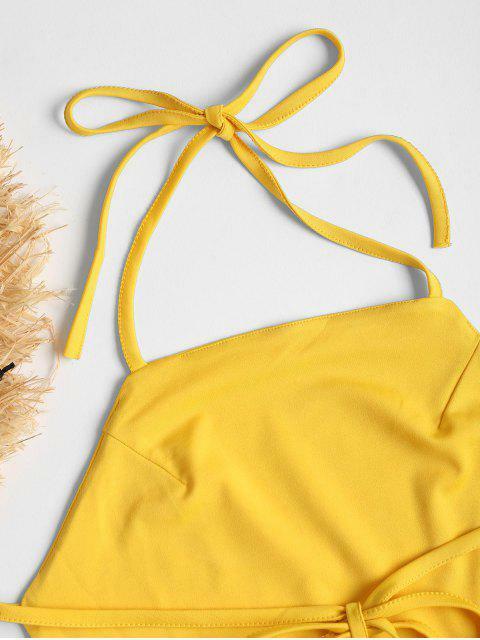 [31% OFF] 2019 Back Zipper Open Back Mini Dress In RUBBER DUCKY YELLOW | ZAFUL ..
Yellow is my absolute favorite color for vacation. I was in love with this when I seen it online. However be aware that this is EXTREMELY SHORT for my ladies with a little more rump back there, it will rise and have a lot of pull down moments. However is was lovely for dinner. this dress fits okay. you need a small torso for the top though otherwise you will be showing a lot of your chest. I am small in my torso so it fit me but the bottom waist part is a bit big on me but it's not bad. I bought a small btw. 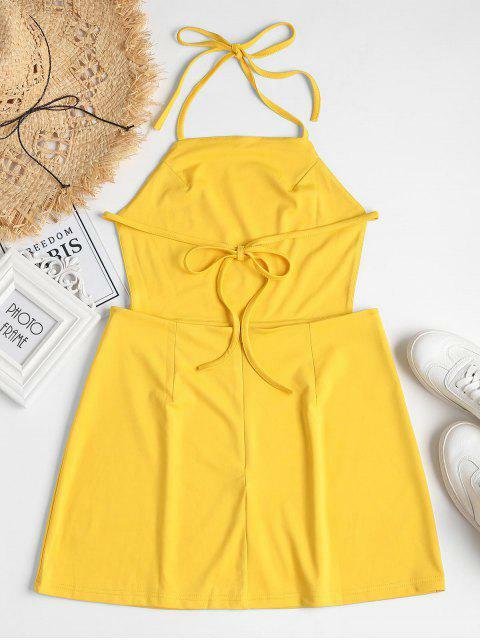 In this summer, you need this mini dress to night out for a date. This mini dress features a tie up detail on the open back with halter collarline, and a hidden back zip closures that's secured by a metal clasp with a plain front, styling it with heels and a woven clutch and ready to go.